Ever since LOFT launched their plus sizes, I have become more and more of a fan. Their pieces are simple yet chic and fit impeccably well. I also really love how they value their plus size customers. Many times, brands launch extended sizes but they don’t quite live up to the standards of their straight size clothing. LOFT plus is an extension offering many of the same styles and the same great quality as their other clothing items. I personally have become a major fan of their denim, as I already own 3 pairs so I decided to try out their other bottoms as well. 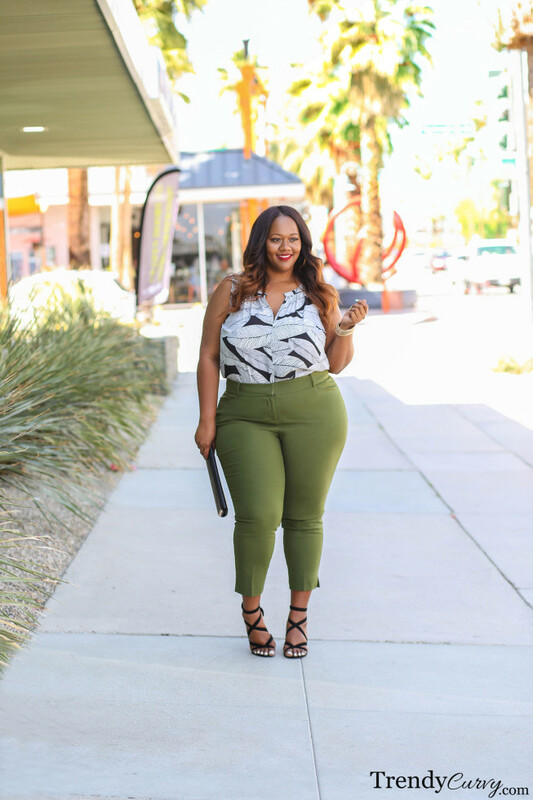 These olive Riviera pants caught my eye immediately partially due to the styling on the website. Although I love to style my own looks in unique ways, sometimes companies just get the styling right and I end up mirroring the exact look. 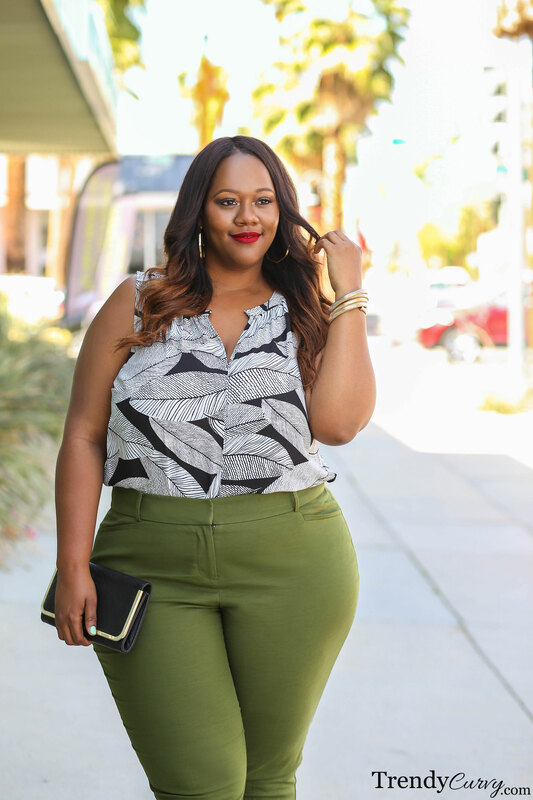 I loved how they paired the olive pants with a black and white palm print top. The color combination was really complimentary and it fit well into Spring/Summer style. The pants did not disappoint at all fitting just as well as the denim. They have the perfect amount of stretch for optimal comfort. This was such an easy look to put together as the work was already done for me so no complaints here. Thanks LOFT! Hi. When your able can you start including details about your shoes as well? ?